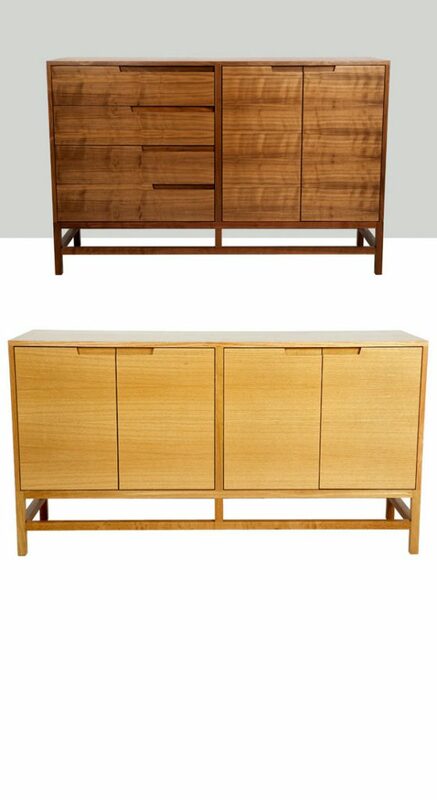 The strong linear detailing, beautiful straight-grained veneer door and drawer fronts, and the distinct horizontal and vertical elements of the solid wood base gave rise to the name Linea. The intriguing diagonal edge-detailing on the inset handles adds the final touch to this elegant design. 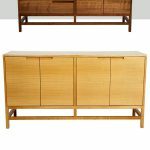 Available in solid walnut or white oak with a clear lacquer finish.